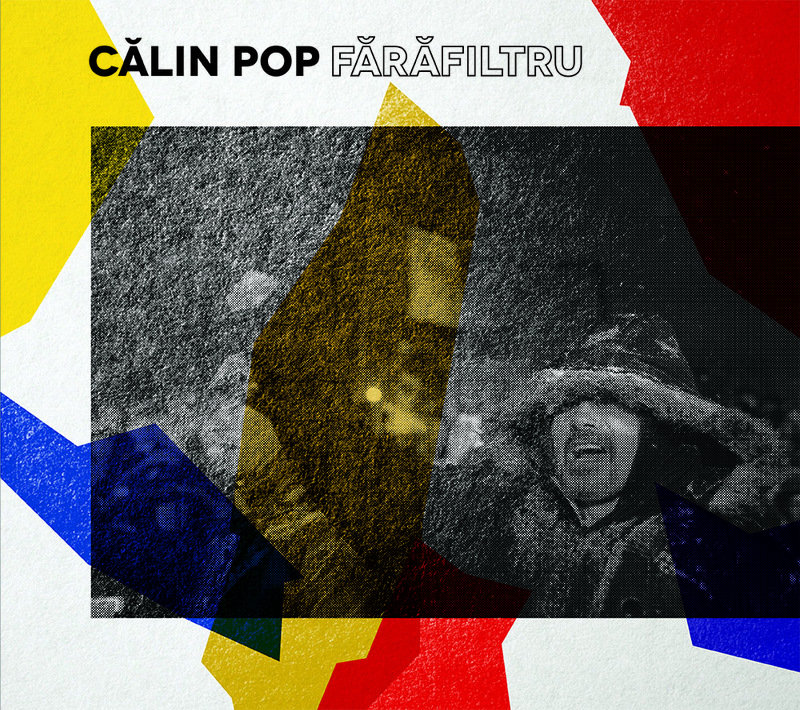 “No filter”– a certain type of attitude or the unsuspected suggestion power of a syntagm chosen in order to briefly and deeply define the affective memory of a complex artist: the guitarist and song-writer, inspired poet and vocalist Călin POP. 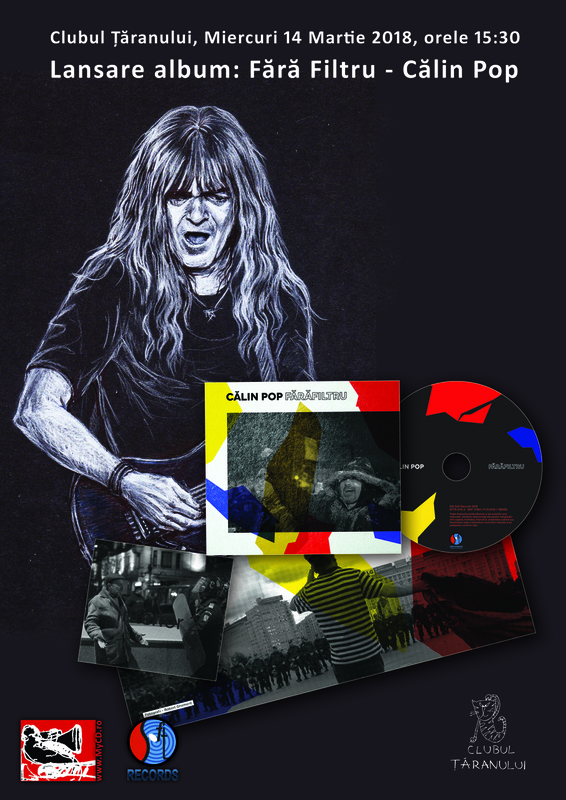 Born in the early sixties, this genuine music band leader has managed since the 1980-1981 to continuously re-mould the hard’n heavy, heavy-metal and sometimes even the progressive styles in a very original manner often with spectacular results! 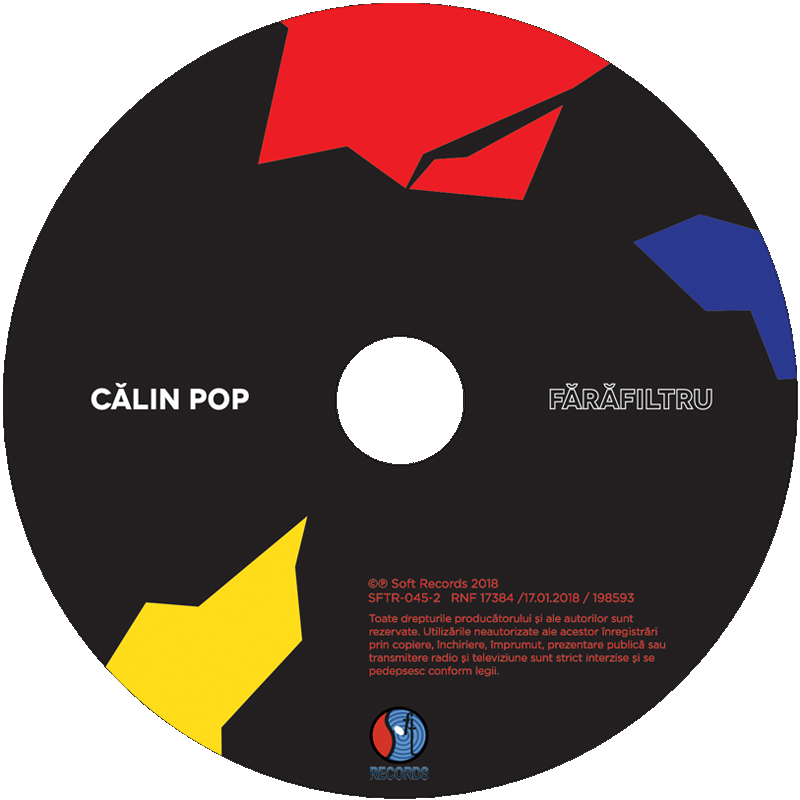 Ever since, he and his long-lasting Oradea-based group, CELELALTE CUVINTE (The Other Words), have always been rediscovering the privileged place they have had in the hearts and minds of their fans generation after generation, be they performing in big gigs or in various clubs. 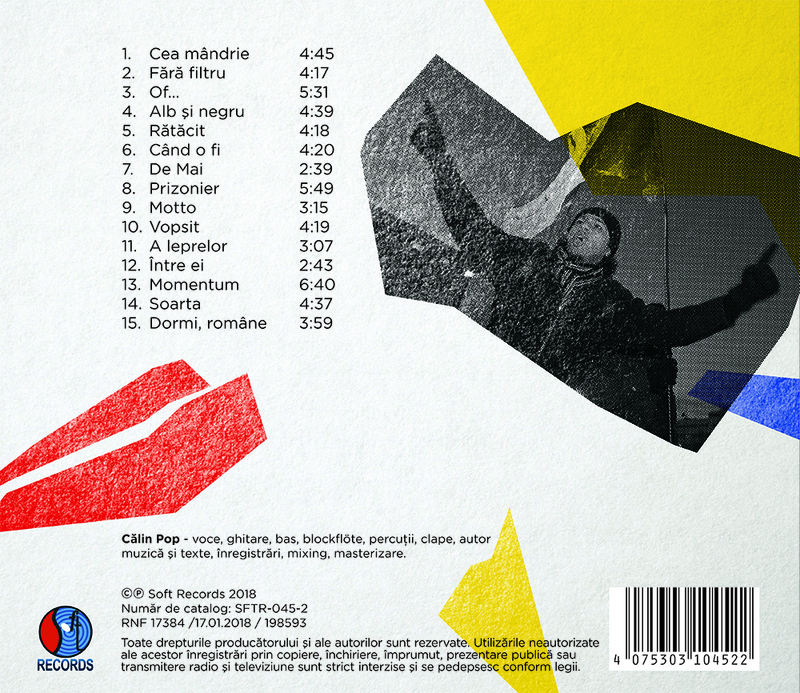 Coming back to the album launched by rocker Călin POP (his third solo project, which does not involve his colleagues from the band, after the amazing „Undeva” (“Somewhere”)- 2014 and the refreshing „Ritual de iarnă” (“Winter Ritual”) – 2015), the incisive title „Fără filtru” (“No filter”) (which is also the name of track 2, on the CD), << is actually – as the artist himself confesses, without any political implication though – a personal opinion about Romania in general, a conclusion he has reached in the aftermath of the events that have happened around the world and in his country since 1990, facts and things that caused a lot of pain at their time and are still hurting now…>>. So, inspired sound images, full of force and colour, of substance and energy, which seem to be instantly “translating” verbs like to steal, to sell, to dishonor or other keywords such as carelessness, insensibility and brazenness, lie or dirty thought on one hand and on the other hand words like tears, prisoner and fate have taken shape in a unitary concept of recording, audio mixing and mastering in the artist’s own Studio even if they are clearly delineated into 15 songs, each with its own message and questions raised. Cu glorii, cu eroi ? Ce era pe la noi ? O să stai acolo unde vei tot sta ! Ce vremuri, ce veac ! Ce putea mai rău sa fie ? Cât ar fi de rău ? În inima mea (doar) vei străluci ! Cât ar fi de rău! Lacrimi, dureri ce se şterg ? Mult aş vrea să greşesc ! De ce sufletul şi l-au vopsit ?